The standard M1 Carbine went through a constant evolution throughout its production life. Early models (top) had high wood stocks, flip sights and no bayonet lugs. 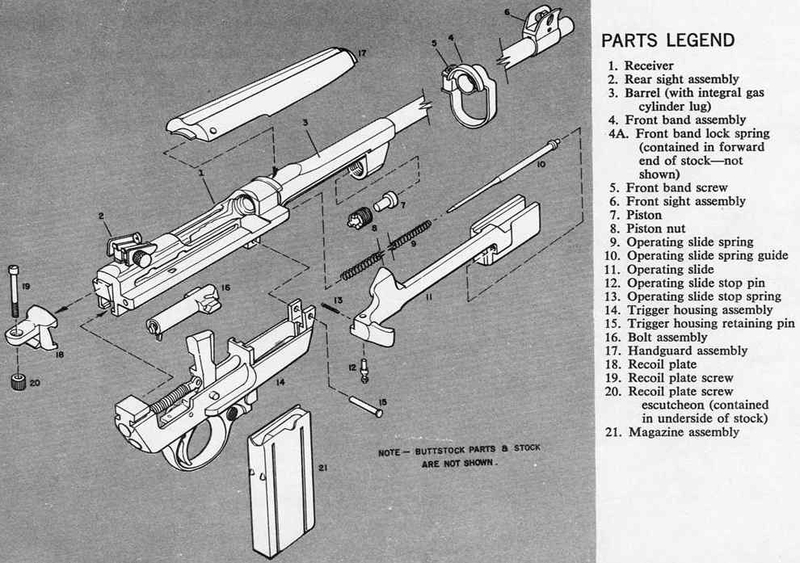 Transition pieces still maintained some early characteristics, but included such things as ramp-style rear sights and low wood stocks (center). Late M1 Carbines had bayonet lugs, round bolts, ramps-style sights and other updates (bottom). M1 Carbine being test fired by Marine of the 3rd Marine Division on Iwo Jima, March 7, 1945 (D+16).